Caroline is currently researching the drivers of evolutionary divergence and Dimensions of Biodiversity in Pelargonium in Mediterranean and arid South Africa and Australia. Recently, she has studied Melaleuca evolutionary ecology in sub-tropical Australia from clonal to river catchment scales, and population genetic and phylogeographic processes in freshwater and terrestrial native and invasive species including in the Murray-Darling River Basin, southern Australia. 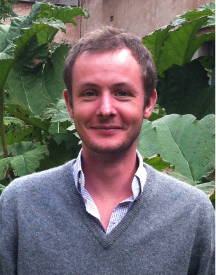 Julien’s research interests deal with the evolutionary history of flowering plants. Specifically, he is studying the evolution of two groups: the old lineage Magnoliidae (20 families, and about 10,000 species), and the eudicot genus Pelargonium (about 280 species mostly restricted to South Africa). Recent advances in the phylogenetic contexts associated with these groups, in addition to the existence of large data sets which incorporate both phenotypic and environmental traits, make these two lineages perfect models to understand the evolution of important flowering-plant characters such as floral morphologies, or functional leaf traits.